Call me a suspicious guy, but I find it just a little too convenient that three women managed to graduate from Ranger School in the months preceding Secretary of Defense Ash Carter’s decision to allow women to serve in the combat arms branches and special operations units. 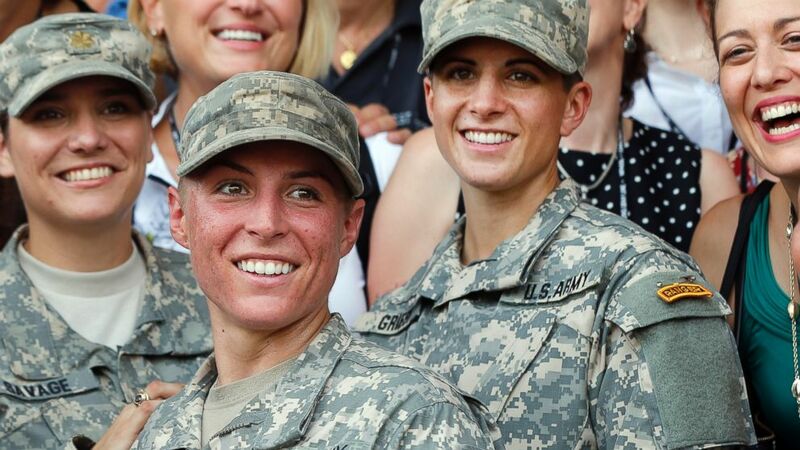 Captain Kristen Griest and First Lieutenant Shaye Haver were the first two women to graduate from Ranger School in August of 2015. Their graduation was the subject of much speculation by some members of the media and Congressman Steve Russell who requested the Ranger School records of both Griest and Haver. Congressman Steve Russell (R., OK) has been trying to get the Ranger School records for the female graduates for six months now. Why won’t the Army just give Russell the records? At first they told him they were destroyed. That’s interesting since Army schools usually keep records a year or two after graduation. Then, Russell requested the Green Cards, the transcript of someone’s performance at Ranger School that everyone who has attended the school since 1952 has in a file cabinet there. The Army balked at the Green Card request stating “privacy concerns.” That’s a good one, considering the people looking at the records are elected officials with top secret clearances. What’s private about a land navigation score? Nothing, unless one of the female graduates had a history of BOLO-ing land nav repeatedly and the Army passed her anyway. Can you think of a bigger cluster than a Ranger who doesn’t know how to use a map and compass? In the Fall of 2014, at Fort Carson, Colorado, a group of female soldiers were given three months of training to specifically prepare them for Ranger School. The female soldiers were pulled away from their regular duties in the Army to eat, breathe and sleep Ranger School for ninety days. One of the female soldiers who attended the training was First Lieutenant Shaye Haver. Yet, the Army’s senior leaders, from Secretary John McHugh, down to General Martin Dempsey, Major-General Scott Miller, commander of Fort Benning and Colonel David Fivecoat, commander of the Airborne and Ranger Training Brigade repeatedly denied that women were given any type of special treatment or advance preparation for Ranger School. In addition, First Lieutenant Haver consistently failed land navigation during various assessments conducted at Fort Carson. Yet, Haver was sent to Fort Benning to attend Ranger School. Even more frightening is the fact that not one female soldier in the assessment group of roughly fifty soldiers passed land navigation. It is not known if other female soldiers were sent to Fort Benning from this group. Sources also informed US Defense Watch that First Lieutenant Haver failed land navigation at the Ranger Training Assessment Course, a 16 day evaluation soldiers must pass before being allowed to start the school itself. Haver graduated from Ranger School in August of 2015 after having been recycled twice and having to restart the whole course on one occasion. Did Haver also fail land navigation repeatedly at Ranger School? Undoubtedly, this would appear in her records, which were shredded by the Army. But, her Green Card, a Ranger School transcript of her progress wasn’t. Surely, Haver’s land navigation scores are noted on her Green Card. Yet, the Army refuses to send Congressman Steve Russell and the House Armed Services Committee the Green Cards for Haver, Griest and Major Lisa Jaster, the 37 year old woman who graduated from the school as well. As of now, the only thing Congressman Russell has received from the Army is some concocted mini white paper showing that men and women are performing the same at Fort Benning and that women are meeting the standards. More like a conspiracy to defraud the American people. Obviously, the Army wheeled out three females and graduated them from Ranger School as a gift to Ash Carter, who knows nothing about the military and everything about pleasing the White House. When Steve Russell, a former Ranger School grad, Infantry officer and combat vet began to question what was going on at Benning, the Army went into an oral lockdown mode. With Russell muzzled and any questions by the media denounced, Ash Carter was persuaded to use the three female Ranger School graduates as some kind of litmus test for the authorization of putting women into the combat arms and special operations. Since Major Jaster, or Mommy Ranger “graduated” from Ranger School in September 2015, in what was a complete and utter Lie too Far, not one more female has made it through the course. Nearly two dozen women have washed out. Now, that Carter has already made his decision, which will certainly be approved by a spineless Congress in April, it’s kind of suspicious why no other women seem to be passing. You don’t have to be Einstein to figure out that the three women were coddled and used by the Army to promote a crackpot feminist agenda oozing from the White House. The moral cowards at Benning who permitted that fiasco to take place have disgraced the honor of every Ranger in the nation’s history. The moral cowards at Benning are guilty of aiding and abetting the destruction of the US military. By passing three unqualified women at Ranger School, the moral cowards at Benning have blown a hole right through the national defense. At Ranger School, Three’s a Fraud.